Is there really such a thing as NATO airspace? If NATO members' ships deploy to the Sea of Japan & China's Seas, they may claim the airspace above them is also NATO's. Australia & Japan r major non-NATO allies & their ships can do the same. After many of its members were involved in Iraq, Afghanistan, Libya, & Syria, NATO ops r not restricted to Europe any more. Hole wrote: It´s in Siberia and the Far East, but NATO will claim it is a clear aggression against the Baltic states and Poland. they are like WallE the troll. They are nto to listen they are to have daily 5 minutes of hate session. But I think it's also about North Korea & the SC Sea islands. Plan of strategic exercises "East-2018"
Still, the most interesting is the participation of the PLA military contingent in the exercises. All the "Peaceful Missions" are declared as antiterrorist exercises of the SCO countries, and their scale is not very large. 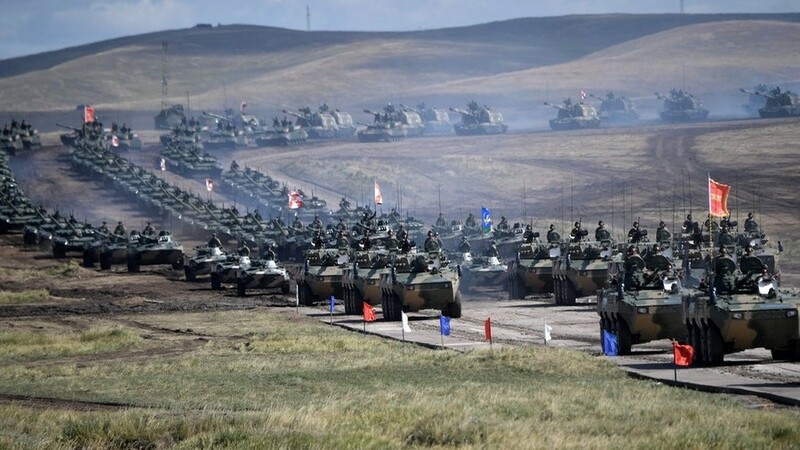 But the participation of the People's Liberation Army in purely Russian strategic military exercises is a step forward to a new level of military cooperation between Russia and China. 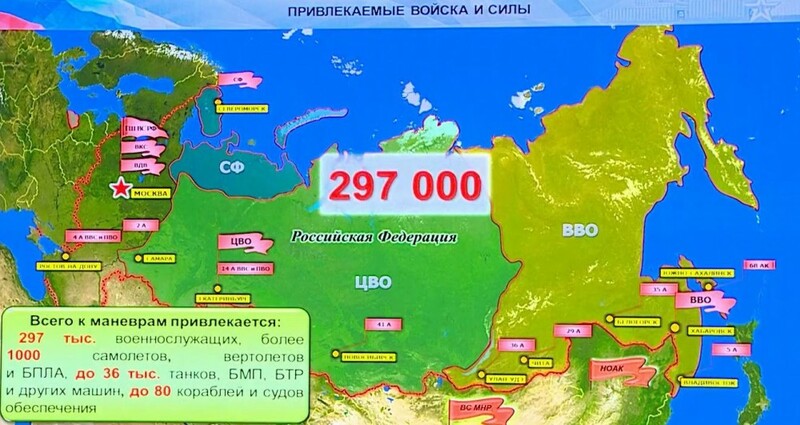 George1 wrote: Plan of strategic exercises "East-2018"
I am not trying to be offensive but for some reason that map instantly remided me of this clip and I just had to post it. Isos wrote: Chinese are supposed to take part to only one part of the exercices. 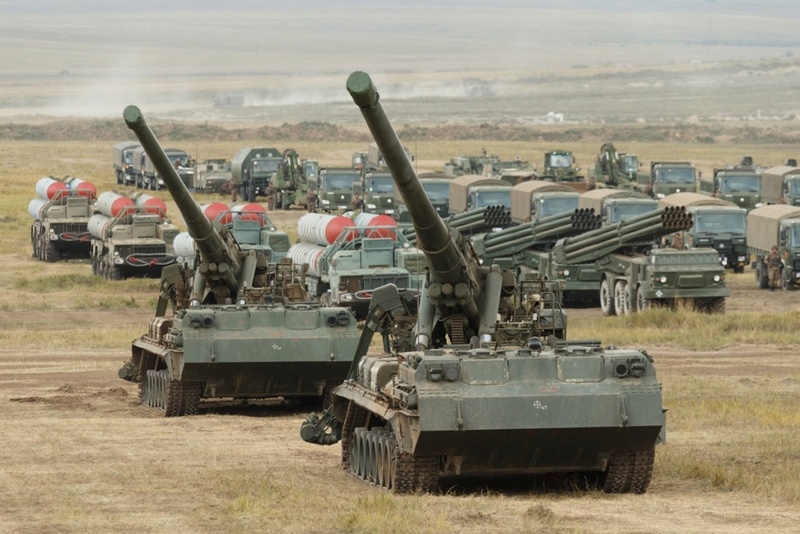 There are those who believe Vostok 2018 was designed against China as the operational threat, and that China’s participation was an afterthought. 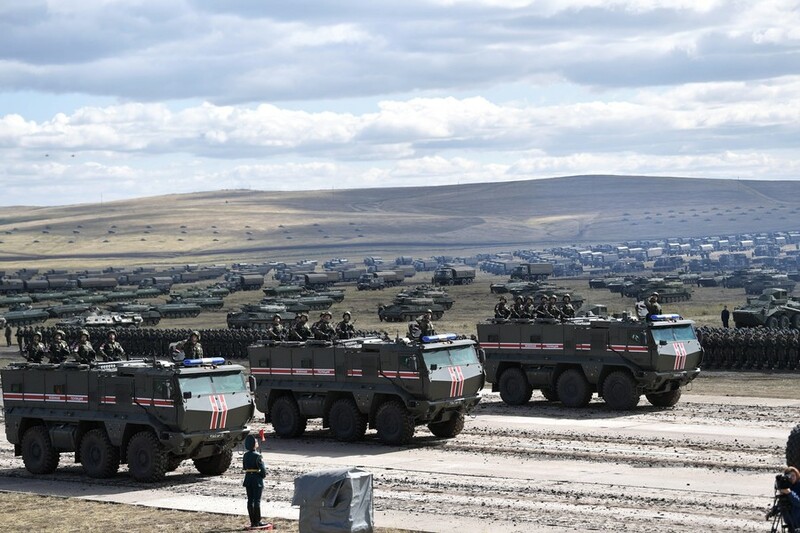 Instead, 3,200 elite Chinese soldiers will deploy to the Tsugol Training range in the Trans-Baikal region of Russia, part of Russia’s Eastern Military District close to the Chinese border. This is also to show that they stand together & that it will be futile to drive a wedge between them anytime soon. Mongolia is now similar to Romania inside the old Warsaw Pact: she was allowed more independent foreign policy but could be invaded at any time. They better not abuse this privilege! The mongolian president is a giant fan of Russia. But not of the PRC. They love Dalai Lama & practice Tibetan Buddhism. I've been there. What is now Outer Mongolia was part of the Qing Empire & was a Soviet unofficial 16th republic since 1924 to 1991. Also, they owe them big time for saving their bacon at Khalkin Ghol back in the 30's. Interesting tidbit about drills: East and Central military districts​ are wargaming against West and South. Nice vehicle. But the ATGM is ancient. Hole wrote: Nice vehicle. But the ATGM is ancient. Maybe but against many IFVs and old tanks it will still be effective, and is utterly lethal against light vehicles and trucks. Useful against bunkers as well. I would say against all but those with ADS and tank based ifv. Now thats what I like to see! Kornet or Ataka would be much better. I smell a new contract for the russian MIC. Compared to Kornet, the HJ-73C/D missile is only marginally inferior in terms of armor penetration behind ERA. It does have reduced range and slower speed, but for self defense it is more than adequate. 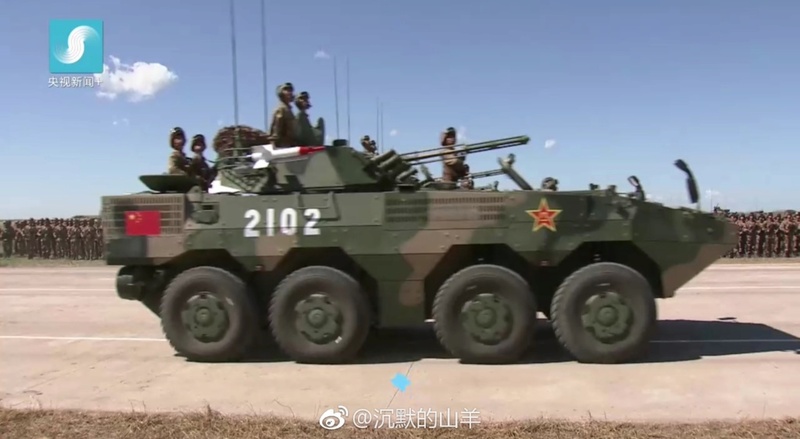 If the Chinese wanted a more potent missile installed on this type of vehicle, they have a range of domestically produced options to choose from. These weapons are small and can easily be integrated onto vehicles, even replacing the HJ-73. Someone brought out the big guns! Video of exercises of the Navy and VKS of Russia in the Mediterranean Sea, held from September 1 to 8, 2018. In the Mediterranean Sea, for the first time in the history of modern Russia, the exercises of the grouping of the forces of the Navy and the Russian Air Force were held. The event was attended by 26 warships and vessels of the Russian Navy, including two submarines, as well as Tu-160, Tu-142, Il-38, Su-33 and Su-30SM aircraft. The flagship of the grouping is the Northern Fleet missile cruiser Marshal Ustinov. During the exercises, the tasks of anti-submarine warfare and anti-aircraft defense, protection of maritime communications, countering piracy and rendering assistance to a ship in distress were worked out, as well as practical rocket and artillery fire.